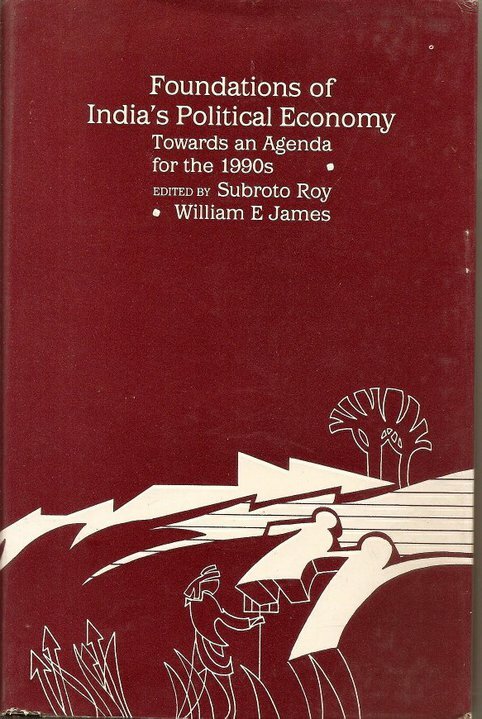 From Subroto Roy & WE James’s Introduction 1989-1990 to Foundations of India’s Political Economy: Towards an Agenda for the 1990s edited by them, published by Sage 1992, received by Rajiv Gandhi on September 1990 in manuscript form. 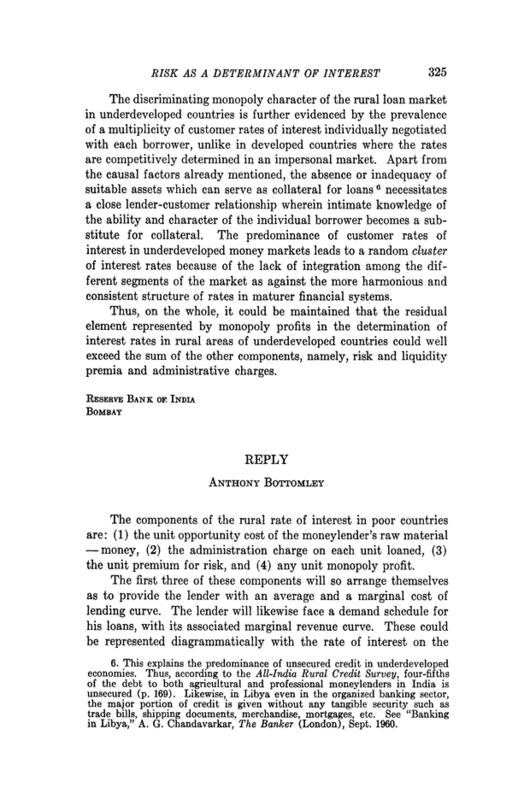 “Finally, no discussion of the subcontinent’s political economy can ignore the fact of the monumental poverty of external goods on the part of a vast population, in contrast with a fairly large class of people with adequate livelihoods, in turn contrasting with small islands of indolence and conspicuous consumption. Benjamin Disraeli said of Victorian England that it consisted of two nations. The Indian subcontinent today consists in many respects of two nations living side by side, the real division being much less longitudinal on religious or communal lines (as intended by Muslim separatists at the time of Partition and Hindu imperialists today) as it is latitudinal on class lines between “bhadralok” and “janata”, middle class and working classes, bourgeoisie and masses, “nomenclatura” and proletariat. The sheer numbers can justify speaking of whole nations, the janata in India alone consisting of something like seven hundred million people, the bhadralok of one hundred and fifty million. The Indian bhadralok on their own constitute one of the largest nations on earth. The bhadralok are not to be distinguished from the janata by any self-styled civility, nor is there any inevitable conflict which will lead to the victory of one and decimation of the other, nor is it that one derives its income from productive effort or enterprise and the other does not. A more effective criterion by which to distinguish the two nations of India may have to do not with work but with leisure, as well as with the kind of capital that comes to be inherited over time. The janata are the unleisured nation of India, people who mostly due to the meagreness of their initial resources come to possess little or no leisure in the course of their lifetimes. They are scattered and illiterate, without connections in high places, often too involved with the hardships of daily life to care for much else. They eat and sleep to maintain the minimum energy needed to survive, reproduce and send their children to school or work, travelling through life day by day and week by week. They may have some short time devoted to religion or entertainment, but life is too often too hard, not so much without happiness or culture as without much time for either. Expectations of what life has to offer may be unambitious and yet successful. Inequality from an economic point of view may consist of the fact that the poor do not inherit any leisure from the past. They do not inherit the savings of their parents and ancestors because most did not have parents and ancestors who had any savings to leave behind. Capital and the income it generates, and the consumption which such income makes possible, are among the most subtle notions of political economy. As a rough approximation, if we distinguish between human capital, physical and financial capital, and social and political capital, it may be said that the inheritance of economic inequality in India may consist of the inheritance of economic inequality in India may consist of the inheritance by the janata of no form of capital except their own stock of human capital. 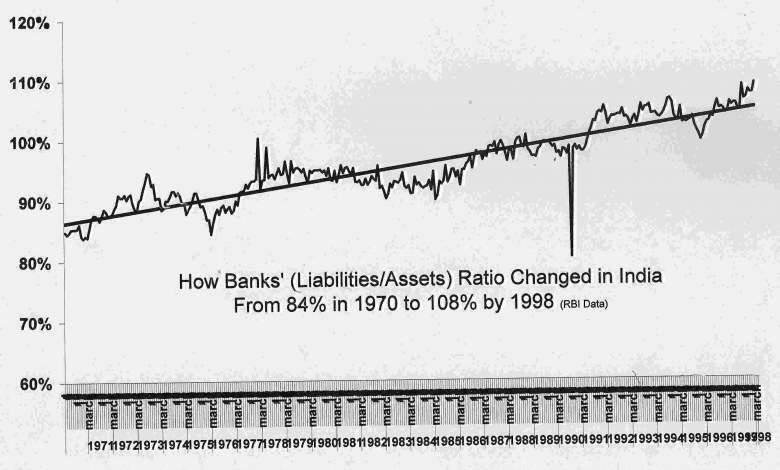 There is little or no inheritance from parents of savings or any other form of capital. Hence the janata are also the “garib lok”, the masses are also the poor folk. By contrast the bhadralok are also the leisured nation of the subcontinent, with the time and inclination to praise or decry the state of the culture or the economy or the prime minister, to visit or return from the outside world (“baahar”) to the subcontinent or vice versa, to take a walk in the morning or a nap in the afternoon, to express compassion for or embarrassment about the existence of the janata (especially in relation to the foreigner since the bhadralok have to explain both their privileged position relative to the janata and their often underprivileged position relative to the foreigner with whom they desire to consort), to study the janata or lead them in revolution or take measurements of them, and to read, write, edit or publish books such as this one. The bhadralok are the “respectable people” of the subcontinent, with names, family histories and reputations, literate and often highly educated, bilingual at least, with an inheritance of or illusions about acknowledged places in society. They inherit from their parents and save for their children physical and financial capital, invest in their human capital, and bestow to them as much social and political capital as they can. The mercantile and industrial bhadralok own and transfer to their children relatively more physical and financial capital, while the managerial, administrative and professional bhadralok may transfer relatively more social and political capital. At the apex of both groups is an elite amounting to a few million people, united perhaps by their membership or attempted membership of the post-British social clubs and centres of intellectualism, or foreign universities and the lower middle classes of Britain and North America. What may be expected in the long run is mobility between the two nations and in both directions. Through indolence or bad luck, families can fall by a half or a third of a social class each generation, or move in the opposite direction through chance or cunning or enterprise and effort. It is an essential feature of mass economic development that there will be net mobility upwards in the long run, and an attendant breakdown of social barriers and the gradual assimilation of classes and castes into one another. Contrary to an assumption of the working classes being united in their despair and contempt for the middle class, and motivated in their desire to bloodily dispose of them, it may be more accurate to say that what unleisured people want most (after employment, food, shelter and clothing) is what they value most at the margin, namely, leisure. What the working classes desire most may be something like the kind of life as the bourgeoisie. Let aside there being a potential or open conflict arising from the janata against the bhadralok, the truth of the matter could be there is a desire of the janata to have at least some leisure like the bhadralok. If this is an accurate assumption, the main source of conflict between the two nations of India or the subcontinent could be different from what is often supposed by many people. Instead of being revolutionary in nature and deriving from below, the source may be reactionary in nature and amount to resistance from the top. Like all cartels, the bhadralok may want to preserve their numbers and not look with favour at the prospect of large-scale mass economic development, entailing as this will greater competition on all fronts, the erosion of privilege, the breakdown of social barriers and the assimilation of classes into one another. The Jacobin/Bolshevik/Maoist method of reducing inequalities was to expropriate physical and financial capital, and decimate social and political capital and all that stands in the way of such destruction. The upheaval and chaos of such blood-letting leaves a new order which is, or seems, for a moment, more egalitarian than the regime it replaces. But it also leaves a society without knowledge of its past, alternately enervated by its present and terrified of its future. Recovery from such a state of near social death has been long and hard and painful, where it has happened at all. Despite the wishes of a few, India does not seem likely to experience such social death on a national scale, although the temporary effects of terrorism and civil chaos in pockets of the country would seem to be similar. A more far-sighted method would be by the creation of capital for the janata to increase their sources of income and consumption and thereby reduce the inequality of wealth and political power. It would mean investment in the only form of capital that the janata have: their own human capital. It would mean fundamentally a change of focus away from the theoretical and grandiose in the drawing-rooms and corridors of New Delhi (and Washington), and towards the simple and commonsensical: stopping the wastage of the tax-resources; making the currency sound at home and abroad; redirecting public investment towards public goods such as civil justice, roads, fresh water and sanitation; and fostering a civilized rural life, built around village schools with blackboards and chalk, with playgrounds and libraries and hot meals, with all-weather buildings and all-weather roads to their doors. India today resembles a kind of gigantic closed city with high walls and few gates. Within the walls are concurrently represented many different ages in the history of man, from pre-historic and early Aryan, to medieval and Moghul, to Dickensian and American, the members of each age having some common and some individual sets of life-expectations, yet all being due to enter the next century together. Outside is the rest of human civilization, as well as the free circulation of gold and foreign exchange. Nearabouts the gates of the city, and with ability to travel in and out, are the few million of the elite. If the walls of the city are to be knocked down or at least if the gates opened and kept wide open, it will have to be the elite who do this or consent to have it done. If it is done properly, after adequate preparation of the economic and political expectations of citizens, there may be many positive results, not only for the economy but also for the culture and civilization of the subcontinent as a whole. The free flow of ideas and opportunities across national borders; the freedom to travel in the world; the free movement of goods and capital; the freedom to save one’s tangible wealth, small as this may be, in whatever form or currency one considers best — these are fundamentally important freedoms which have been denied to most of the people of the subcontinent thus far and yet are taken for granted elsewhere in the world. There seems little reason to doubt that if such freedoms come to be gradually exercised by the janata there would be a permanent trend of increase in mass income and consumption. 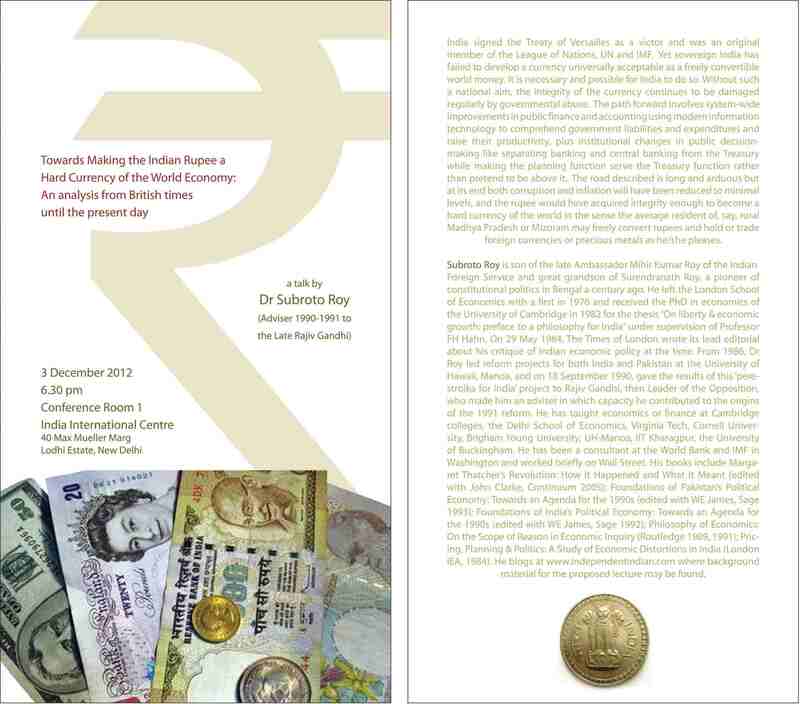 Rajiv Gandhi received this book in manuscript form in hand from me on Sep 18 1990, and it contributed to the origins of India’s 1991 economic reform as has been described elsewhere. I am delighted to hear his son Rahul has in the last few days also been referring to India as “Two Nations”, rich and poor. Dr Manmohan Singh received the book itself in hand from me at the Indian Ambassador’s Residence in Washington in Sepember 1993; I am glad to see he too has yesterday mentioned the same “Two Nations” theory that I had applied from Disraeli’s book about Victorian England.